The Odd Future crew may have been the crossover story of underground rap in 2011, but Shabazz Palaces, it seems, have had no qualms with retaining their cult status. 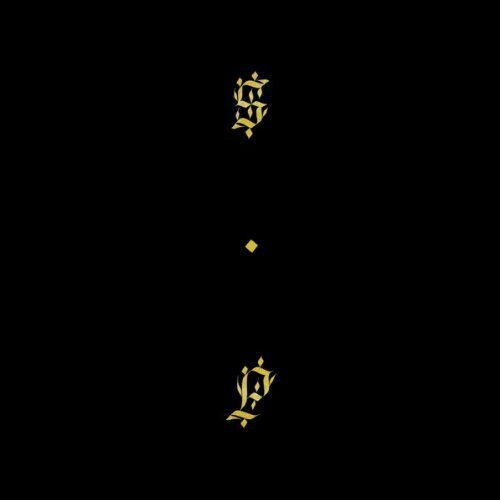 Hailing from Seattle, Shabazz Palaces released a pair of EPs without a single mention of who was behind the adventurous, shifting beats and wordplay. But despite the lack of identity, the lack of interviews, the lack of, well, pretty much anything an artist does to get publicity, acclaim followed the group, both among the music press and serious hip-hop fans. As it turns out, though there are other contributors, Shabazz Palaces is essentially the work of Ishmael “Butterfly” Butler, who was most notably a member of ’90s jazz-rap group Digable Planets. (However, in the world of Shabazz, Butler goes under the pseudonym Palaceer Lazaro.) And without much more hubbub than usual comes their first full-length, Black Up, a complex, enthralling record that makes good on the promise of those earlier EPs. Upon pressing play—never mind that it’s a rap record—the music takes over, demanding attention with its brooding atmospherics and unpredictable, whip-snap beats. There’s no verse-chorus-verse to be heard here and, aside from some repeated elements, very little discernible structure at all, the music winding whichever way it pleases. There are remnants of Butler’s past work here, but much of this feels fresh, with African tribal drums, dubstep and jazz noodling coexisting harmoniously. For a frame of reference, imagine Company Flow’s sci-fi ambiance and Flying Lotus’ sardine-packed left-field hip-hop filtering through Native Tongues jazz-rap. It’s a dizzying listen, but it never feels indulgent or pretentious, always reeling the listener in rather than keeping you at arm’s length. Listen to how “Are You… Can You… Were You?” sustains its tense rhythm so that a sudden chord change feels revelatory or how “Swerve… The Reeping Of All That Is Worthwhile (Noir Not Withstanding)”‘s crunching beats are offset by soulful vocals courtesy of THEESatisfaction, a pair of women who also call Seattle home. It’s an inventive, exciting production that references the past but always looks toward the future. Get a handle on the ever-shifting music and that’s when Black Up really opens up, even if the music achievements here dwarf the lyrical ones. Just as the music has a mind of its own, Butler raps with equal formlessness, rarely repeating a flow once he’s moved on to something else, whether that something is a lengthy rhyme scheme or a call-and-response chant. His words are also (nearly) as dense and dexterous as the music itself. While his wordplay is often humorously surreal, Butler tackles a wide range of serious topics, sort of like a Talib Kweli from outer space. He philosophizes on freedom (“Free Press And Curl”), dissects the corrupting power of commercialization (“Youlogy”), recalls a night of lust (“A Treatease Dedicated To The Avian Airess From North East Nubis”), comments on street wisdom (“Are You… Can You… Were You?”) and meditates on music-making (“The King’s New Clothes Were Made By His Own Hands”), all with equal flair and confidence. Despite some memorable lines and chants, none of Black Up has anything that can be really be considered a “hook,” which makes it much less user-friendly than your average rap album. However, the more time spent with the record, the more it gives back, and anyone with even the slightest interest in the potential of hip-hop wouldn’t think to miss it.